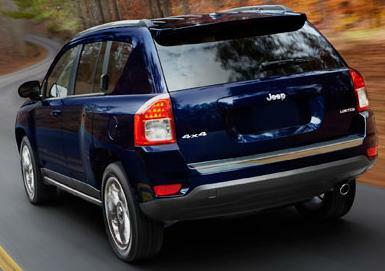 Mopar Rear Fog Lamp kit for the 2012-2015 Compass. Includes wiring, switch and lights. Very good Lights, and look awesome. Very much add to the over all looks of my Jeep Compass Altitude. Only 3000 or so of this "Restricted Edition" were made. It's black on black, on black, with Boston Acustics 9 speaker sub woffer sound system, 18" spoked black powder coated wheels, dual VVT 2.4 engine, DC to AC inverters, dual shift modes (CVT & Sport), and way too many others to list. These lights from Justforjeeps.com were an awesome addtion. ProsFit is awesome. Lights are "VERY" bright. A well worth it addtion to my Restricted Editon Jeep. ConsHad to have dealer install, due to complexity of installation. I guess some could do, but having a dealer do it is a much better idea. Lihgts are "Rear Fog Lights", so they onlu go on when front fogs are turned on. Computer has to be reflashed to let it know about new lights, so they will go on, but installation by dealer is fast, and afterwards, you can look forever, and never find where the installation was done.